You open your jewelry box and instead of seeing your favorite silver necklace, you find a browned chain. Tarnish occurs when silver is exposed to hydrogen compounds which are found naturally in the air and other materials such as latex, wool and rubber bands. Corrosive salts, oils on your skin and in certain foods, also create tarnish. While tarnished silver appears initially gray or dull, an accumulation of tarnish turns silver yellowish-brown and eventually, brown or even black. Removing tarnish from your silver jewelry isn't difficult, but does require specific steps to ensure complete and thorough restoration of your sparkling silver. Put on your nitrate gloves. 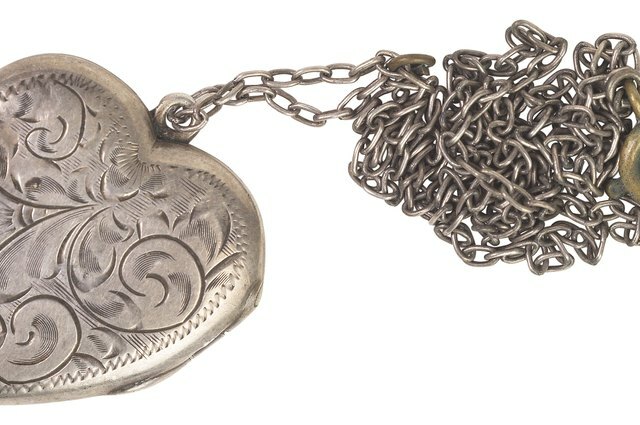 Unlike latex or rubber, handling silver with nitrate gloves won't add additional tarnish. 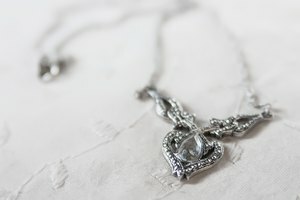 Rinse your silver jewelry under cool running water to remove any surface contaminants, such as dust, grit, hairspray. 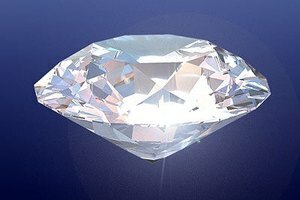 Removing these substances beforehand lets the polish focus on dissolving the tarnish instead of the surface contaminants. Dry your silver jewelry with a clean microfiber cloth. Unlike terrycloth, rags or paper towels, microfiber won't scratch or irritate the surface of your jewelry. Pour a dime-sized amount of silver polish on your clean, dry sponge and rub an inch of the jewelry using back and forth motions. For every 15 seconds of polishing, stop, rinse and wring the sponge. Apply new polish and repeat until no tarnish remains in the 1-inch section. Washing and rinsing your sponge prevents you from rubbing tarnish-causing substances back into the jewelry as you polish. 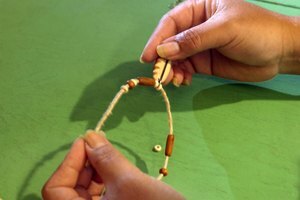 Repeat Step 4 over the entire piece of jewelry. Flatten the head of a cotton swab by squeezing the cotton between your fingers. Apply a few drops of polish and clean the etched or engraved areas using the same back and forth motions. Replace the cotton swab every 15 seconds as in Step 4. Remove any remaining polish from your jewelry by wiping down the entire piece using a warm, damp cotton ball. Pat the jewelry dry with a clean area of the microfiber towel. Prevent future tarnish buildup after polishing by storing your silver jewelry in a leather pouch or zip-seal plastic bag. It takes perseverance to remove brown tarnish, don't be discouraged if you need 45 minutes and an entire bag of cotton swabs. Never soak or submerge your silver in any substance unless you're a professional jeweler. Never use household items in place of a professional polish. Common cleaners like baking soda, dish soap and toothpaste are too abrasive for silver jewelry.